In 1988 Louis A. Mitchell (NHS Class of 1952) began acting on his dream of starting a non-profit, college access organization that would exclusively serve the Newark City School District. By offering matching funds from County Savings Bank, he challenged Newark High School alumni to contribute money for Last Dollar Grants which would help qualified Newark graduates attend college. Alumni responded generously and a group of community leaders, led by Jane Cook McConnell, met in the fall of 1991 to officially found A Call to College. Born and raised in Michigan, Jane Cook McConnell first arrived in Licking County in 1952 as a student at Denison University. She graduated in 1956 as a psychology major. She and husband Bill McConnell (A Call to College Governing Board emeritus member) returned permanently in 1960. Over the years, she held leadership roles in numerous community activities with emphasis on education and young people, but starting and growing A Call to College was truly one of her strongest passions. 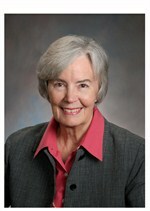 Jane served as the President of the Governing Board of A Call to College until her death in 2007. Her tireless dedication and exceptional leadership helped the organization become the model college access program it is today. Born and raised in Newark, Ohio, Louis A. Mitchell graduated from Newark High School in 1952 and Denison University in 1957. Lovingly nicknamed "Earp", his impressive athletic career led to his being inducted into the Denison University Athletic Hall of Fame, the Newark High School Athletic Hall of Fame and the Ohio Basketball Hall of Fame. Even though Lou called Columbus home starting in 1964, he focused many of his charitable interests in Newark and Licking County, including acting on his dream to launch a non-profit college access organization that would exclusively serve students and graduates of his high school alma mater. From his leadership role in early fund-raising efforts to launch the organization to his innovative ideas for expanding impact, Lou's vision, dedication and commitment were inspiring to all of us at A Call to College. 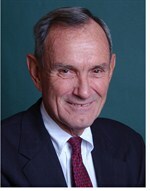 Although he became an emeritus Governing Board member in 2006, he still participated in board meetings regularly until his passing in 2012. Three millionth scholarship dollar awarded. 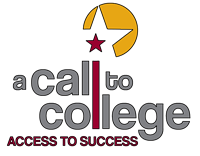 Celebrating 25 years as a college access organization!